We often hear about young home buyers having difficulty getting finance to buy their first home and get into the housing market. But what about older people who are trying to get a home loan? Approximately 15% of people in Australia are aged 65 and older, according to the Bureau of Statistics. 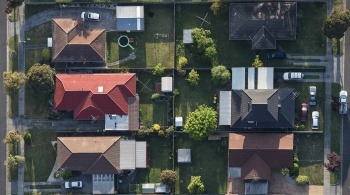 Older Australians might be trying to borrow money to purchase an investment home, to downsize their property after the death of a partner or a divorce, or simply wanting to buy their own home after years of renting. An important criteria for seeking to borrow money is your capacity to service (repay) the loan. Lenders need to be sure that your employment and income will be there during the period of the loan so that you can meet the repayments. The legal position is that credit providers cannot discriminate against you simply based on your age but at the same time they are legally obliged not to provide a loan unless you have the means of repaying it. For example if you are 50 years old and need a mortgage the lender might be inclined to only offer a term of 15 years instead of the more usual 30 year period that they might offer to a younger borrower. This is based on the fact that you may stop working when you reach 65 years old and is called an “exit strategy” for how the loan is to be serviced when your wages stop. However, there are other factors that can work in your favour. You may have other assets, a good amount of superannuation or be in an occupation where you could be reasonably expected to continue earning money after 65. You may be after an investment property which can more be readily sold and the loan liquidated than a home that you occupy and this can be factored into your eligibility criteria. This is where it can be an advantage to talk to an experienced finance broker such as PCL Money. With PCL Money you do not have to pay any extra or hidden commissions and because they are not locked in with any one financial institution you can expect to be offered a loan with better a better interest rate and more favourable terms that what a bank may offer you. PCL Money has a large panel of lenders and are able to effectively negotiate on behalf of older Australians a loan facility which can satisfy their needs and meet their requirements. So if you are an older Australian and seeking to either re-finance your existing loan at a cheaper rate or to buy a new property, don’t be discouraged by your age. Talk to the experts at PCL Money. PCL Money is one of the country’s longest established and most experienced finance brokers and has been helping older Australians to get the best possible finance deals for over 30 years. At PCL Money, your needs are their most important consideration. Next: Next post: Should you get a variable or fixed rate home loan?